One week in and I’m already behind on my writing assignments, so today we’re just going to jump in and tackle the BIG topic: exploring my writing habits and routine as well as sources of inspiration – or at least we’ll try. But before we can get into that in any of that, I need to examine where I began and where I want to go. As I’ve mentioned before, I’ve been writing for a long time in different formats – for school, for work, for my own personal enjoyment – and I have a fairly strong understanding of social media as well but all of that experience went out the window with this blog. Instead of relying on everything I learned, I went with my instincts, ignoring the strategic planning that is usually so typical of my work. As much as I tried to avoid it, my early posts were informed primarily by my own experiences and so I wrote what I felt, which you can safely assume was motivated by my bereavement process. I would write a post thinking that I had made progress and eventually realize that I hadn’t, backtracking and going around in circles. Occasionally I wrote posts that I was really proud of but getting there depended on my mood. I have no regrets about this time but with distance comes perspective. 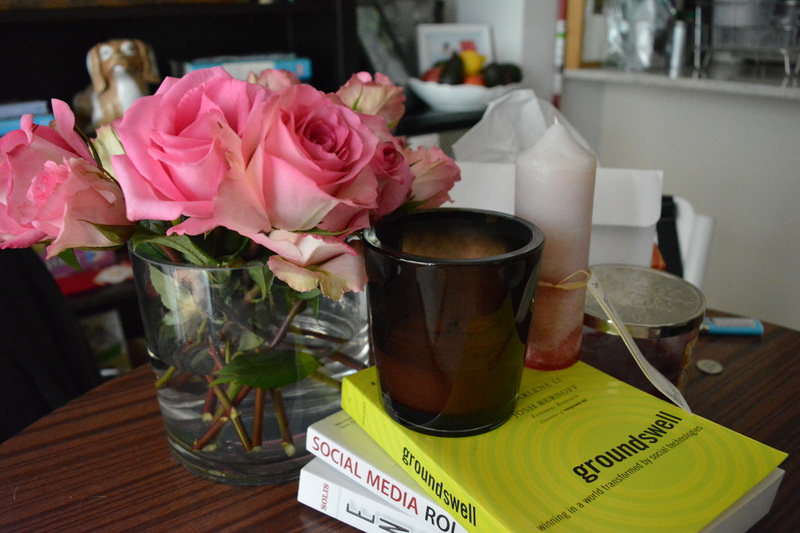 A lot of things were very different during the early days of this blog as well: I had a more structured daily routine, I didn’t have a co-author, and I was heavily plugged into the social media front through my Twitter account (which you can find in the sidebar!). Emotionally I was also in a very different place. Over the last few months things have changed and I have more flexibility with my time, which is both a blessing and a curse especially on the days where I feel unmotivated; my sister Annette now regularly co-authors work for this site, and while I still love social media, I don’t have as much time to devote to it on a regular basis. Most notably, I now occupy a similar but different emotional space. The thing is that this blog isn’t just a personal journal. Yes, there are certainly components of my daily life that make their way into this space but this blog also has a clear mandate and that is to create a health and wellness community. My definition of these two things is fairly loose and encompasses a number of factors including fitness and exercise, food and cooking, as well as emotional and mental health which is where the grief and bereavement elements fit in. In my dream scenario, readers will find in me a friend that they can talk to and rely on, not necessarily a guru or know-it-all. One of my favourite blogs, which I discovered in my early days of WordPress-ing, Letters to Flo, did that for me. I say “did” because the author of the site announced last week that she would cease writing in that space because she felt ready to move on. I’m happy for her but selfishly, I will miss her voice and perspective. That is in a nutshell, what I would like to do for someone else – to make a difference – in my own way. The question now is how do I do that? Over the last six months I’ve started to implement regular features and post according to an unofficial schedule: Mondays serve as an emotional check in with some “motivational” ideas (I’m still working on that, and it’ll get better I promise), Wednesdays are devoted to exercise and fitness, and Thursdays are for food. Occasionally, I’ll post again on Fridays if there’s something that really compels me. The schedule is useful because it ensures that I’m writing, even if it’s short. Some bloggers advise that you write only when you have the time, noting that most readers understand that we’re doing the best we can. Conversely, other bloggers suggest writing regularly to provide consistency, allowing people something to rely on. I strive to find a balance between the two and if I don’t feel like writing, I won’t beat myself up over it (see August and October’s skint number of posts) but at the same time, I tend to like routine. What can I say? I’m a creature of habit. As a result of this schedule, I find myself sitting in front of my computer at my desk/dining table three times a week, either early in the morning or late at night tapping away. I can’t write with music because I get distracted, even if there aren’t lyrics and for the hour I allot myself to write, I resist going on social media because again, I get distracted. It’s therapeutic and makes me feel accountable. The problem with writing so regularly while also trying to balance all the other elements of my life is that inspiration sometimes feels hard to come by. Sometimes I want to share ideas but I might not have the time to research or try things out, other times I have no inspiration and it feels like the well has been tapped dry. I realize your time is precious so I want to make sure that if you take the time to read my work, it will be worth your while. And that’s where we are now. Tomorrow, Friday, or maybe even next week we’ll explore this topic a little further but we’ll see how it goes. I’d love to hear more about your writing habits and routines. Where do you draw inspiration? What does your process look like? Thank you for your kindness and what you’ve said is very true so we must continue on, trying to do the best that we can. I look forward to getting to know you better through your work and thank you for taking the time to read and comment. I love the way you described your “butterfly brain.” I am your typical Type-A planning fiend and find that the schedule helps me because it gives me a sense of direction and so I’m not scrambling to reinvent the wheel each time I sit down at my computer. I’ve also heard the opposite to be true – that the scheduling makes everything feel too rigid – so I guess it’s a matter of finding out what works for you as an individual. I look forward to reading your work and getting to know you better! Thanks for stopping by.